With the start of the new year, many people are looking to make massive changes in their lives and when it comes to raising our kids, now is also a great time to help them learn new skills as well. 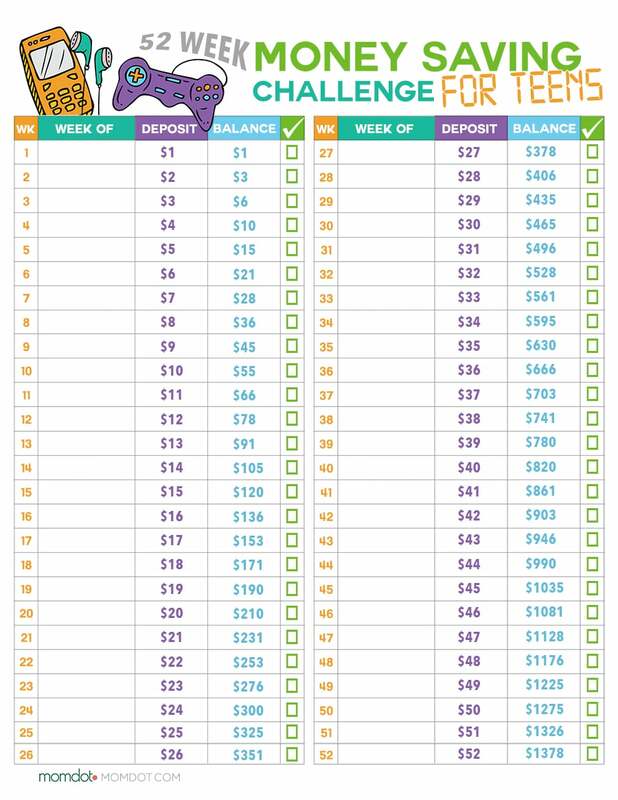 Last week we put up this great 52 week Money Challenge for kids, specifically designed to encourage your child to earn and then save. With only a quarter added each week, a child could easily see the impact they were having on savings. But what about the older child or teen? Many teens, by the age of 15, are earning their own income by mowing lawns, babysitting, or even a part time after school job. And while most teens have new cars on the mind, this is a perfect chance for you to teach your teen the lifelong skill of savings. This easy 52 week money saving challenge for teens makes it easy to start ANY WEEK OF THE YEAR and see how building on what they put away leaves a large savings plan by the end of the year. How to Turn $100 into $1,000,000: Earn! <———-Got a kid that wants to take it a step further? Make sure you pick up this book! 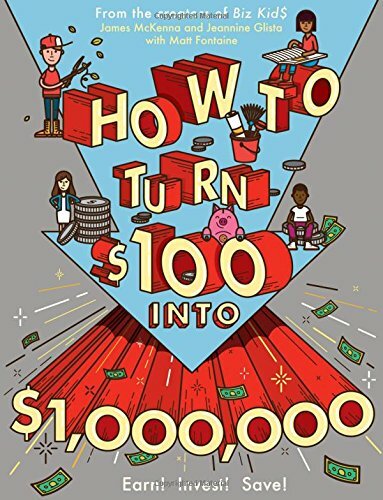 Its an easy to read book that helps explain how to take $100 and turn it into a million. Combining this sheet and book is a great way to get your kids on a healthy money path. Simply print off this handy work sheet by hitting the image below and you can see how the growth of each weeks earnings add up to a large end of the year savings! Before you go >>>>>>>>>>>>>>>>>>>>>>>>>>Follow all FREE PRINTABLES on PINTEREST HERE. Love this idea. We also like to take advantage of real-world situations where our teens can learn. Last year, when we had injection foam insulation pumped into the walls, our kids helped us choose an insulation contractor, compare prices, insulation features and so forth. Now that we’re experiencing our first winter with the new insulation, we’re comparing utility bills with our teenagers, and tracking savings.